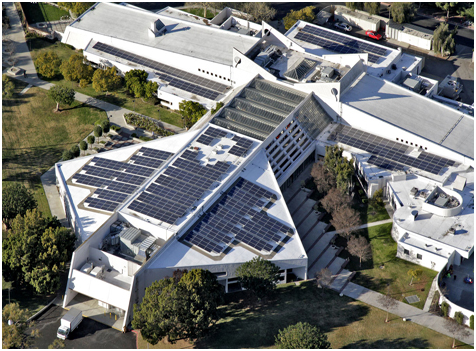 Owen provided design and construction assistance services for the City of Carson to implement 175-kW of rooftop solar photovoltaic panels that provides solar-generated renewable electricity to the community center and to other City buildings. This substantially reduces the City’s utility bills and preserves City funds for other needed projects. Owen coordinated the solar installation with two other vital City projects, also designed by Owen. These were the community center roof replacement and rooftop air handling unit replacements. In so doing, all three projects could be done in a coordinated manner that kept the new roof warranty intact and minimized disruptions in the community center activities. Finally, Owen incorporated many other desired improvements in the project to help develop a facility-wide upgrade associated with this project.